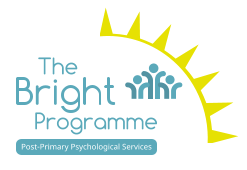 THE BRIGHT PROGRAMME is a Team of Psychologists, Counsellors and Psychotherapists and who work with the students and staff at The Trinity Comprehensive School, Ballymun, Dublin 9. THE BRIGHT PROGRAMME offers a range of therapeutic interventions to the whole school. We provide student counselling, staff psychological support, staff training, organisational consultancy, group work and clinical psychological interventions to students. 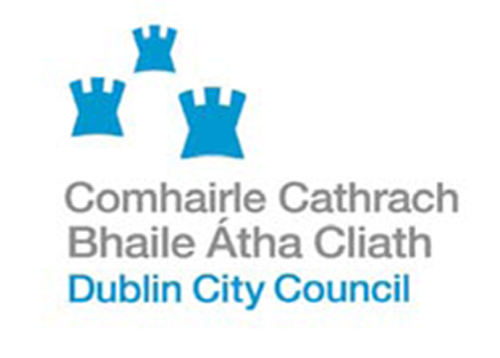 THE BRIGHT PROGRAMME is fully funded by Dublin City Council (DCC). The Bright Programme is a Team of Counsellors, Psychotherapists and Psychologists who work with the students and staff at The Trinity Comprehensive School in Ballymun, Dublin 9. What’s different about THE BRIGHT PROGRAMME? Identifies the Psychological Needs of the Whole School Community. Creates the services required to meet those needs. Trains the relevant staff on addressing the needs. Provides psychological support to the students and staff. Identifies, develops and delivers Group based interventions – such as anger management, confidence building skills and emotional management. Carries out the Clinical Assessment of the individual students which allows them to access the educational and psychological supports necessary through the department of education. Advises management on best practice around crises intervention, care team management and student welfare procedures. Builds self-esteem, communication, relationship and team-work skills to the whole school community. Support staff in reflecting on their work through support and training. Assist with school systems and policies to promote the primary task of learning within the school. Support students during vulnerable transition periods within the school system. Encourage students to identify, understand and take control of their educational opportunities and behavioural responsibilities . Help students to make sense of and name their feelings and experiences. To understand the psychological importance of adolescence. Expose students to different learning experiences, including learning experientially, which will help them to be more effective, confident and motivated in their personal learning. Clinical and Educational assessments - C N Winstanley Ltd. Established in 2010, the Bright Programme offers a range of therapeutic interventions to the whole school. We provide staff support, staff training, organisational consultancy, student counselling, group work and clinical psychological interventions to students. The programme is fully funded by DCC. Our vision is to create a psychological space that can be used by staff and students to be more self-aware, resourceful and to make informed decisions around relationships in a learning environment. We believe that clarity of roles, trust in others, informed policies and procedures allow for a better framework for a successful learning environment. By strengthening the psychological life of students, staff and the school as a whole, everyone has access to greater resources which can tolerate the emotional blocks to learning and invite equality, success and motivation. THE BRIGHT PROGRAMME began in 2010. Over the past 6 years we have provided thousands of therapeutic interventions to both students and staff. We began working with whole class groups using the SPHE curriculum as a base line. We ran weekly training session and individual support to staff. Always adapting and responding to the needs of the school, we now provide a broad variety of interventions. A summary of our work provided is detailed below. 7 psychological workshops established and delivered. 16 staff supported over 170 sessions. Delivery of Mental Health Component in the SPHE Program throughout the school. The Bright Programme offers a range of therapeutic interventions to the whole school. Providing staff support, staff training, organisational consultancy, student counselling, group work and clinical psychological interventions to students. The programme is fully funded by DCC. Clinical psychological support and assessment is available for students. The support ties directly to students who have undergone clinical assessments through the BRIGHT programme / other services /Mater CAHMS and who have difficulty accessing services through the HSE due to waiting list times or other reasons. The Clinician provides clinical assessments within this remit for students who cannot access assessments through HSE services. They provide the necessary information to school and parents based on the clinical assessments that enables the best supports and appropriate recommendations to be put into practice. A further resource is available through the BRIGHT programme for clinical psychological support for students. This support would tie directly to students who have undergone clinical assessments either privately or through Mater CAMHS and who have difficulty accessing services through the HSE due to waiting list times or other reasons. The clinical psychologist provides a service to these students specifically within school hours. The follow on support provided links specifically to the diagnosis and recommendations of the assessment. For in-house clinical assessments, BRIGHT takes referrals from the resource department. The in-depth and comprehensive assessment is carried out and the clinician provides the necessary documentation so that the appropriate resource hours can be accessed from the Department of Education for the student. Having this in-house resource allows the students in Ballymun direct access to the assessment process to secure the supports they need when they need them. This is invaluable in ensuring that the students with special needs get the necessary supports without having to go on a lengthy waiting-list. Staff are offered individual support to process the impact of the work and to avail of a space to reflect and think about the psychological processes that may block or facilitate the work. We link with the Anti-Bullying team in the school to take referrals (when appropriate) of those who are bullied and those who carry out the bullying. We actively engage in the anti-bullying program and input into best-practice for the anti-bullying policy. 1: where appropriate, involvement in student counselling process. 2: Individual support for parents/ carers. 3: psycho-educational group support for parents, including parenting plus programme, information talks etc. To work with staff and students within the school environment in a safe, respectful and flexible way that appropriately meets the unique needs of each individual and group. To foster a sense of self-esteem through education, exploration and creativity. To build resilience by empowering the people we work with to understand their emotional world and the impact this has on themselves and others. This allows greater capacity and space for a broader learning environment where young people can not only reach their potential better but allow others to reach theirs also. To create an internal space that allows for resourcefulness, creativity, empathy and learning. By embedding the programme within the school curriculum we can access and provide our service to students and staff in a safe and containing way. Provide the space so that students and staff can fully own their achievements through the programme and can take them on throughout their lives. To build self-esteem, communication, relationship and team-work skills. To support staff in reflecting on their work through support and training. To assist with school systems and policies to promote the primary task of learning within the school. To support students during vulnerable transition periods within the school system. Encourage students to identify, understand and take control of their learning. To help students to make sense of and name their feelings and experiences. To help students and staff to understand the psychological importance of adolescence. To expose students to different learning experiences, including learning experientially, which will help them to be more effective, confident and motivated in their personal learning. 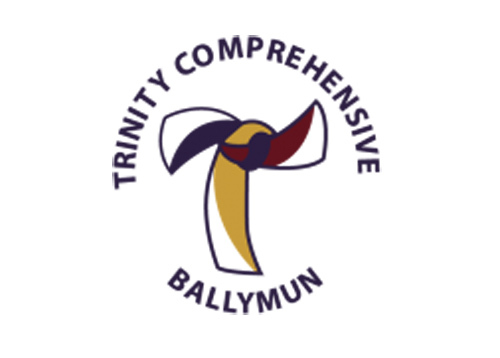 The Bright Programmes main objective is to enhance and strengthen the emotional world of both the students and staff in Trinity Comprehensive School, Ballymun, Dublin 9.